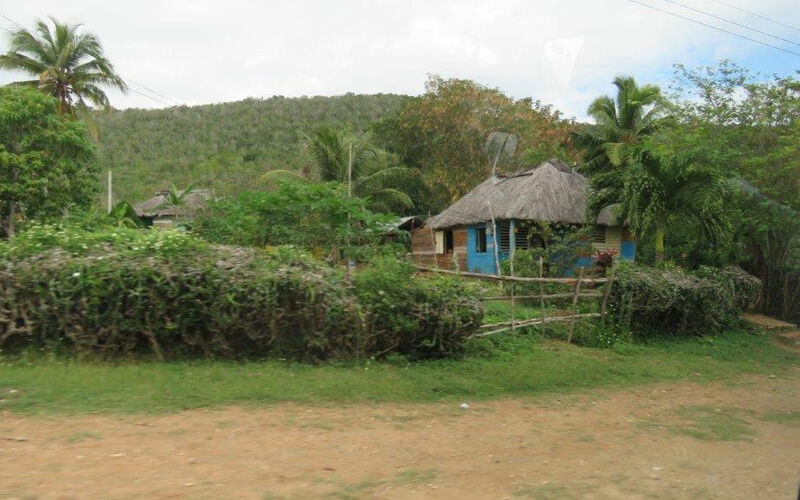 This picture was taken in Boca de Sama, one of the villages. It’s possible that some of the resort and tour staff live in places like this, but more likely they live in crowded cities. Before Ruth and I left for Cuba last week, someone asked me if we were going on a mission trip. I supposed that’s more consistent with our history as a couple, but no, the purpose of the trip was ostensibly pleasure. However, as with our previous trip there, we did take some Spanish New Testaments and Christian books; about 12 pieces in total. (I greatly regret not having taken about four more.) This is so important when Canadians are travelling to Cuba because Americans can’t go there, and Europeans don’t have access to U.S. Christian resources in Spanish. There is a tradition of Canadians leaving gifts on the bed each morning for the housekeeping staff — so we include a piece of literature here — but I did give a few directly. And the we met L., part of the resort’s entertainment staff. He was standing talking to the lifeguards and we got into a one-to-one conversation about family, education, work, faith and life in general. Do you believe in divine appointments? I have goosebumps just typing this. They happen but you have to be programmed to expect them and then intentional about making them happen. The reason I felt bold enough to come out and ask him if he wanted one — feeling bad that I had to walk it back and say it was only a New Testament — is because of another divine appointment we had with Steve, another guy from Canada who is spending a month at one of the resorts. Steve is a whole other story which I’ll save. L. never got the Bible the next day. We just didn’t connect. But we did the day after. And then he said something extraordinary: “Are you going to the buffet? I’d like to join you for lunch.” Just that day I had comment that you never see the hotel staff at the buffet. God was up to something! The subject turned back to his family. I told him to be sure to impart his faith to his kids, mentioning them by name. For some reason I started tearing up at that point and so did he. He then told me it had been an hour and he had to get back to work. Pray for L., his partner (couples tend to live together in Cuba) and his two kids A. and L. His sister is an Evangelical — they call us Evangelists which is appropriate — so he does have other possibilities for getting his questions answered. Do you believe in divine appointments? I do. This came at a time of genuine spiritual disappointment, and yet for an hour afterwards, I walked the length of beach in amazement of how God set it up. Pray also for J. who was so happy to get a copy of “In Touch” by Charles Stanley which helped break open a wider conversation. (I think many of the Canadian Christian tourists are very reticent about their faith while on holiday.) Pray also for T., our housekeeper, who was the recipient of about 7 of our pieces of literature. Pray also for M. who took us on all-day jeep tour including a hike and swim in the mountains. He grew up Quaker — a large Christian group with a strong presence in Cuba — but like many Cubans, can’t get to church because they are always working. And yet, hours after we learned of his passing, Christian Today asked the questions we were all thinking about the young missionary killed one week ago today (Saturday, Nov.17th) on an island east of India in the Bay of Bengal. It’s impossible to look at a photograph of John Allen Chau, the young American killed by tribes-people on North Sentinel Island, without sadness. He is in the full glow of youth, with decades of life ahead of him. His friends and family have paid tribute to his gifts and his character: ‘He was a beloved son, brother, uncle and best friend to us. To others he was a Christian missionary, a wilderness EMT [Emergency Medical Technician], an international soccer coach, and a mountaineer’, they wrote on Instagram. …But this tragedy raises questions that sadness cannot be allowed to silence. 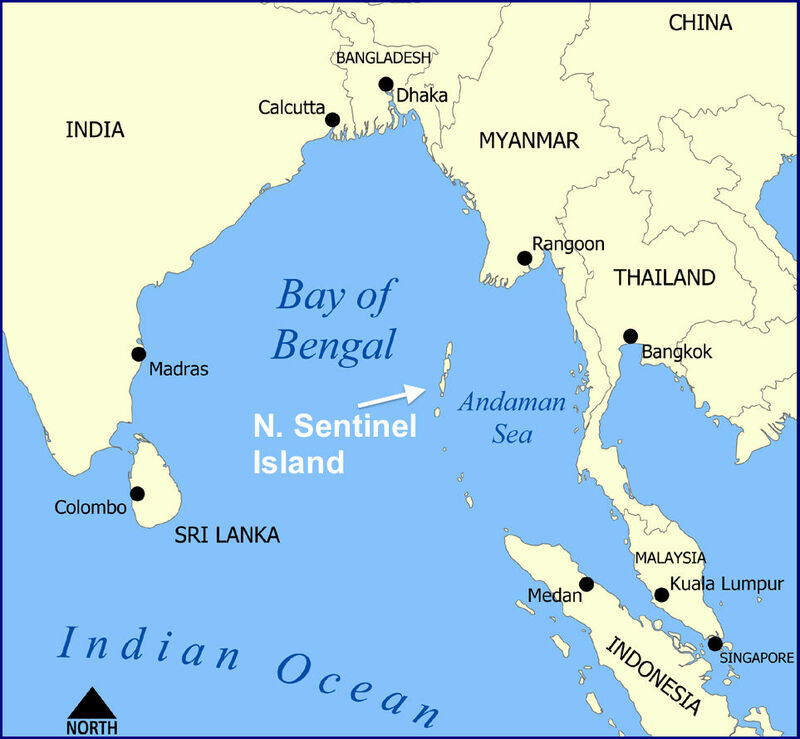 North Sentinel Island is inhabited by a few – anything from few dozen to a few hundred – tribes-people who are among the most isolated in the world. Though rules appear to have been confusingly slackened quite recently, they are still out of bounds for tourists. The Indian government believes the best policy for the islanders is to allow them the isolation they clearly desire – they killed two fishermen in 2006 – and operates a ‘hands off, eyes on’ policy, patrolling the coast to deter anyone from landing. A key reason for this is the vulnerability of the tribes-people to modern diseases: their isolation means they lack the antibodies to protect them. He wrote to his parents: ‘You guys might think I’m crazy in all this, but I think it’s worth it to declare Jesus to these people. …One response, then, is to hail Chau as a martyr… But those questions won’t go away. How, when he didn’t speak their language, was he going to witness effectively to them? Each of the questions they raise could be fleshed out into further detail. I see John Allen Chau as a victim of disordered Christian ideas of what constitutes evangelism. It is now historically known that Christianity spread throughout the Roman Empire by the organic process of relational networks, not the heroic efforts of a few super-evangelists, for all intents and purposes parachuting into completely alien and unknown hostile territories and peoples. Unfortunately, I think the Church came to glamorize and idealize the super-evangelist along with the martyr at a very early point; the two overlap in significant ways, and many early Christians seem to have intentionally sought martyrdom in an even more reckless manner than Chau’s attempt to evangelize the Indian tribe. Reading some of the accounts of the early martyrs, you get the impression that they are committing suicide by the hand of the pagan government, the way some people commit suicide by cop today. I see John Allen Chau as someone acting very much in line with that psychologically and socially unhealthy tradition and legacy. May he rest in peace. The Protestant hagiography surrounding the deaths of the missionaries Jim Elliott, Nate Saint, and their compatriots to the Ecuadorian indigenous people is cut from the same cloth. Although their mission was more anthropologically informed and ultimately successful, there doesn’t seem to be much difference between Jim Elliott’s mission and that of John Chau, except that Jim Elliott had a whip-smart and eloquent widow as a PR agent, and a less de-Christianized culture to receive the message. One more tragic thing about John Allen Chau, and the toxic mindset he was the victim of, is that it doesn’t seem to me to be about actually bringing people to Christ at all. It is all about the act of evangelism as a good in itself for the spiritual benefit (or if I am snarky the acquisition of divine brownie points) by the evangliser himself. Apparently no-one even knows what language the people he was intruding on speak, and certainly no-one understands it, and from the extracts from his diary published he was attempting in fact to evangelise them in, of all things, English. The people he was interfering with apparently attack outsiders on sight because their last interaction with the outside world had a number of their people kidnapped and killed, and a great proportion of them wiped out by disease. There is no way he could possibly have successfully communicated anything to them, and arriving there could only have potentially done them serious harm. He must have known this, or at the best never bothered to find out but, and here’s the crucial bit, can’t have thought it mattered. 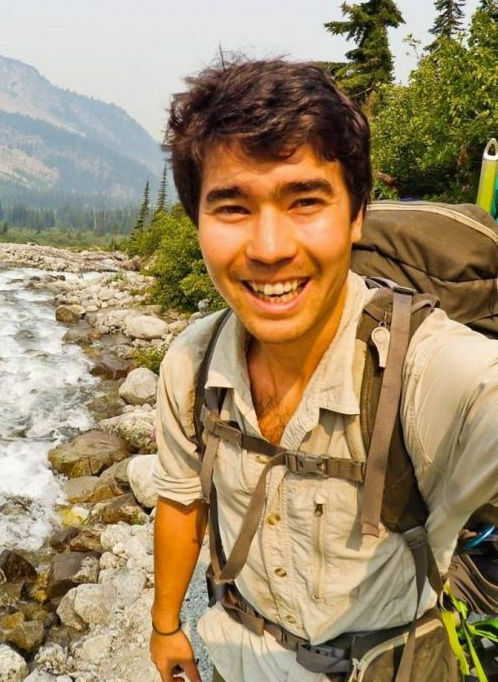 I don’t know if John Allen Chau deliberately wanted to be a martyr, or what he thought would happen, but it seems plain that someone has taught him that this is what he had to do to earn God’s approval, or save himself from wrath, or some such, and he died futilely because of it. Whoever taught him this killed him as surely as the guy with the bow and arrows, and without the justification that the guy who shot him had, that he was simply (and arguably not even misguidedly) defending his family and home. I feel sorry for John Allen Chau and his family and hope he can find the rest and peace in death he clearly could not find in life, which drove him to this tragic and foolish death. …Mr. Chau had to hire someone to get him into space he was forbidden to enter, evade Indian patrol boats, risk (and ultimately lose) his own life, in order to reach a people who didn’t want to be reached, whose language he did not know, to “tell them about Christ.” He returned to the island after he had been injured by an arrow the day before. He seems, to me, to have been a man seeking martyrdom for his own reasons. He left behind a grieving family, a people possibly exposed to diseases to which they have no immunity, and seven Indian fishermen arrested for helping him break the law. What good did any of that do? In the end, I think that Christian Today and those leaving comments today at Internet Monk do need to ask the critical questions; if only so that valuable lessons can be learned and we can avoid repetition of this horrible tragedy. That may be John Chau’s greatest contribution to world missions. Yesterday I heard about a third church in my area which is replacing the normal worship time and sermon with a concert. That’s right, a concert. While this is nothing new, it certainly is becoming more prevalent. In the case of the one I just heard about, I know the band in question and have no doubt that some good ministry will take place that Sunday morning; and I recognize that the Sunday Evening service has become extinct, so realistically, only one opportunity is available to do this sort of thing on a day when the church family is guaranteed to be present. Still, I wonder about this. I’m trying to picture a Roman Catholic, or an Episcopalian showing up for church and instead of the familiar liturgical call to worship, a band starts playing a song. And then one more. And then another. They would probably feel their worship service had been hijacked. While one or two might like the creative change, I suspect that most simply value their order-of-service too much to see it removed; even for a single week. Those forms simply offer too much spiritual benefit to be sacrificed, even for a single week. Apparently, it’s okay to take a week off from the formal teaching time or the teaching plus the worship time. Hopefully the concert serves as a drawing card that is part of a coordinated evangelism effort to which people are inviting their friends and the pastor will indeed deliver a short challenge. Often the concert is actually a set-up for a pitch from a relief and development organization. My wife finds this a rather consumerist mentality. People will come to be entertained. She also wonders why the people in the band want to miss participating in their own church’s worship service that morning. Many of these same people, if asked to work at their job on Sunday morning, would tell their boss they cannot because they attend church. It’s also worth noting that this year with November 11th falling on a Sunday, many churches in our area are rearranging their worship service time to accommodate attending the service at the local war memorial or cenotaph. In Canada, we don’t have both Veteran’s Day and Memorial Day, so our Remembrance Day takes on greater importance. I don’t recall any Evangelical church rearranging their schedule when this day was also a Sunday, but admittedly it takes anywhere between 5 and 13 years (because of Leap Years) for this type of thing to repeat, and by then the memory isn’t as accurate. Several years ago we were asked to stop in at the home of man who was well known in the Christian music community here in the 1980s. He passed away on the last day of August, and because he had some books and Bibles, and because we’re in the book and Bible business, we were asked to help find a home for some things. We were only there an hour, but it got me thinking about the stuff we own, the stuff we collect, the stuff we purchase, the stuff we save and the stuff we leave behind. Someday, everyone reading this will be gone and perhaps someone else will be going through their stuff trying to decide was is valuable and what is not; what is worth keeping, what is worth selling and what is worth giving away; what ought to go where and to whom. I have always believed that a man consists of more than the abundance of his possessions. But the things we hold on to, the things we value, say a lot about the people we are. It tells those who follow after us what our priorities were. I remember visiting an artist once who had a vast collection of what artists and printers refer to as paper stock samples. He then — somewhat tongue in cheek, because he was a Christian — said, “These are my gods.” Others would not say this as humorously. The man whose library we went through today was different. He didn’t really own much in the sense of having stuff that was marked for long-term ownership. His name wasn’t written in the front of a lot of books. Instead, he had temporary ownership of things he wanted to give away. Books, booklets, Bibles, sermon audio discs, sermon DVD discs. It’s a nice legacy to leave. His ‘giving away’ ministry was much a big part of who he was, though. I said to a visiting missionary yesterday, that in our local area, after years of meeting with the broadest assortment of the Christian community, I have only met about six people who are truly passionately committed to evangelism. This man was one of them. Finding someone to fill his shoes was quite a challenge, but as I write this, years later, 90% of his materials found a home. For over twenty years now, I’ve carried a secret that is only known to my wife and two kids. The secret concerns the identity of a guy who was used in our lives to be an encouragement to us at a time when no one else filled that role. We had been several months into our retail store in a market where three previous stores had failed over the past six years. In fact, we were the fourth Christian bookstore and the sixth location in six years. The first and last of these were “second” stores for established retailers, the middle one was a family with a strong retail history. We figured we didn’t stand a chance. Heck, we didn’t even bother installing a telephone. I figured three to six months and it would be over; but the pre-existing business would at least have a chance to blow out some inventory in the process. And then Mr. ___ walked in. Carrying about six bags of groceries. Interesting groceries, too; stuff we didn’t know what to do with. Lots of pork. And cabbage. And those little cubes you put in water to make beef broth. But it was all so very encouraging. A week later Mr. ___ showed up again, with more cabbage and more broth cubes. And the next week, too. And so on for about six months, and then later it switched to a weekly thing with a little bit of cash here and there to buy similar amounts of groceries. When we finally realized why the other three Christian retailers had failed in this particular small town, we decided to wrap it up. The problem? How to tell Mr. ___ that it wasn’t working. I did not want to break his heart or make him feel like he’d been used, or that he’d contributed to something that wasn’t going to last. So we deferred the decision another week. And kept deferring it. Not many years later, we were a chain of three stores in three cities. All because we didn’t quit. Or more accurately, because we were so surrounded by encouragement, so pumped by someone cheering us on in the stands, that we just kept running the race. His weekly visits lasted over a year. I learned later that he could ill afford to be buying us groceries. He said that God would tell him when it was time to quit, and once we rounded the corner financially, his visits stopped. I only ever saw him two or three times after that. This guy did not want to be known. This was our secret. He was quite clear on that. It reminded me of Jesus performing a miracle and then telling the recipient to say nothing about it. (But wait; it was a miracle!) The man in our story and his wife may have been the last people on earth that you would guess would play a pivotal role in a ministry that would bless the entire Christian community in three towns. But my wife and kids know differently. God used this couple to get us to keep going when everything around said it was time to pack it in. The world needs a lot more people like Mr. ___ . Who Says a Parable Can’t Contain a Commandment? Compelling People to Become Christians: Can a Parable Contain a Commandment? “A man once gave a feast”. In the parable a man gave a feast and invited many guests. At the time for the feast he sent the servants out to tell those he had invited to come because everything was ready. None of those people came, they all had other things to do. The man sent the servants to bring in the poor, the crippled, the blind and the lame. Then the servants came to him and said there is still some room left in the banquet room. The man said go out and find people and force them to come so my house will be full. This verse was used centuries ago by Catholics and Protestants in Europe to support forcing people to go to the one officially approved church in a nation. Today Christians generally don’t favor forcing people to go to church, so what do Christians do with this verse now? I can’t think of any way to get around it except to ignore it. How do Christians soft pedal this verse today? Parables exist to either compare or contrast. When “foolish virgins” run out of oil for their midnight lamps, the message is a warning to be prepared. In other words, don’t do what you see happening in the story. In this story, there’s room at the table. There are still empty seats. The host of the party desires a full house. In other words, you’re supposed to do what you see playing out in the story. i.e. “Jerusalem, Judea, Samaria;” etc. i.e. Search for the lost sheep, the lost coin, the lost son; etc. and invite people to the great banquet God is preparing. The banquet in Luke 23 could be either the dinner party or the wedding reception. It’s pointing us to something for which God is preparing us. But the writer of our opening comment correctly notes that this verse has been used to create forced conversions. Even J. B. Phillips, in his translation, says, “make them come.” The Message says, “drag them in.” “Compel” and “Constrain” are frequently used. I think the other can of worms is where the comment writer misses out. The end of the parable is indeed a commandment; one that is consistent with the Great Commission, and all of (a), (b), and (c) above. The parable represents the heart of God. It’s a call to “come to the table” that in its broader context is being said in the home of a Pharisee and not strictly about who gets in but who is honored and given a place of prominence. Make it your goal to invite others to the table. 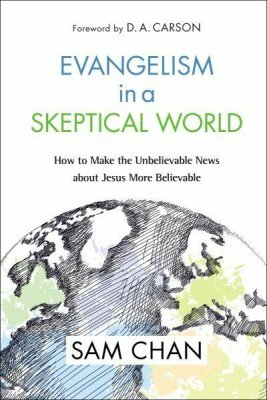 In the past few days I’ve shared excerpts from Evangelism in a Skeptical World: How to Make the Unbelievable News about Jesus More Believable by Sam Chan (Zondervan) but I feel this book is important enough to merit a formal review. Someone long forgotten told me that this was a must-read book for 2018, but although I can’t place who it was, I know it was someone I respected so I decided to investigate further. I know the word Evangelism scares many of you, but this is how-to book on a whole other level. Whereas Mark Clark’s The Problem of God is concerned with the particular arguments people will use against the existence of God or the deity of Christ, Sam Chan is concerned with how we craft our various types of presentations, be they a one-on-one story of God’s presence in our lives, or a one-to-many presentation in the style of a sermon. 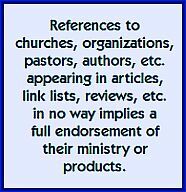 The latter type of information might be helpful for those starting down the road of becoming preachers. I can see this book easily fitting into a first year Homiletics class in a Bible college. There are also online resource links which take the reader to the academic section of the Zondervan website. But in terms of its overall intent, its pricing, and the fact it doesn’t appear under the Zondervan Academic imprint, this is a book for everyone who wants to be better at our calling to be the life and witness of Christ in this world. I have some favorite chapters. 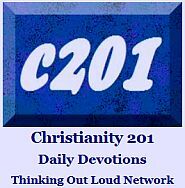 Chapter two deals with introducing Jesus into casual conversation with our friends and the different approaches we can take. Chapter three deals with assembling a response to the needs of people around us, and looks at the various metaphors in the Gospel narratives in a way that this reader had never seen them presented. I’m a huge believer in using charts and diagrams and this book is generous with both. Those unfamiliar with the challenge of using traditional means to try to reach Postmoderns will find the situation well-defined in the fourth chapter. For those who haven’t studied the challenges of world missions, the fifth chapter deals with contextualization. The chapters on preaching topical and exegetical sermons would probably be of greater interest to… well, preachers. Though I must add that I did appreciate the idea that it’s not a case of either topical or exegetical. Both approaches borrow from the other, even if some won’t admit that. That Sam Chan is of Asian descent would give this book appeal to anyone who is part of a minority where Christianity also has minority status. That, plus his Australian origins play into the book many times where he argues that the Bible is not interpreted the same all over the world. (A great example is the inclusion of Don Richardson’s account that in presenting the gospel to a particular tribe, they were cheering Judas because treachery is honored in that tribe.) Because I live just an hour east of Toronto, which has a very high Asian population those stories really resonated. Again, I view this as part of a limited collection of must-read books for this year. Everyone from the zealous, new convert who wants to reach out to his work, neighborhood or social network; or the seasoned, veteran believer who wants to reminded of the evangelism fundamentals will find this beneficial and will, like me find themselves returning to re-examine several key chapters. What if the Most Seeker-Friendly Thing is Having a Regular Service? They say the problem with trying to dissect a cat and learn how it works is that once you make the first cut, you’ve killed the cat. 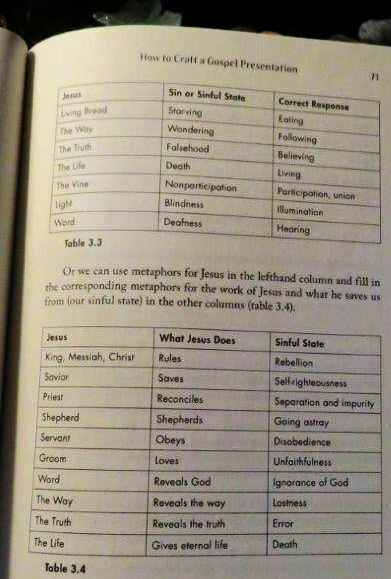 Trying to over-analyze the various elements of faith can have the same effect, but as I’ve started reading Evangelism in a Skeptical World: How to Make the Unbelievable News about Jesus More Believable by Sam Chan (Zondervan, 2018), I’m finding the opposite: Something about this approach really brings the gospel to life. God’s role is to choose people for salvation (v.4). God has a sovereign role in salvation. This is the theological idea of calling, election, and predestination. Jesus’ role is to save people from wrath (v.10). He is responsible for dying for people and their sins, rising from the dead, and one day coming back to judge people. Jesus’ other role is that the gospel story is about him (v. 8). The gospel is a message about who Jesus is and what he’s done to save people from their sins. Paul’s role is to communicate the gospel (v. 5). He did this both with words and actions, not just what he said but also how he lived. Paul gives more details about his model life in 1 Thessalonians 2:6–12. The Holy Spirit’s role is to empower the person who is communicating the gospel (v. 5). Perhaps this means that the Spirit gives the person the gift of effective communication or the words to say. And the Spirit also illuminates the person hearing the gospel by convicting them (v. 5) and opening their heart to receive the gospel with joy (v. 6). The Thessalonians hear the gospel and welcome it with joy (v. 6b). They respond with faith (v. 8b) by turning from their idols to God (vv. 8b–9). Now they imitate Paul (v. 6a) and are models for other believers (v. 7) while they wait for Jesus to return (v. 10). I’ll definitely have more to say about this book, probably later next week. 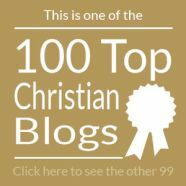 It’s a great resource for both churches and individuals. Learn more at this page. This is a response to an article we posted yesterday. Songs of mission? Certainly, you can’t be suggesting that we should be looking beyond our navels? Perish the thought! If you are want you eat, as the saying goes, are you also what you sing? If so, what do modern worship choruses have to say about English-language Christianity? As music goes, so goes the church in many ways, so if our songs are not missionary, the church probably won’t be either. I’m old enough to remember the Jesus movement of the early 1970s, when young people caught the vision of the need to spread the gospel, especially given the expected immanence of the return of Christ. That movement was in many ways driven by its music, which was a blend of evangelism and a call to personal holiness. The late Larry Norman set the tone with “I Wish We’d All Been Ready,” a lament that there would be some not prepared for Christ’s return – which was also a call to go out and tell your friends about Jesus. Others followed. The church as a whole may not have understood, but the youth did. The songs sung in small group meetings may have been worshipful (“Father I Adore You”) but the need to reach the lost was never far from front of consciousness. Young Christians were excited to have discovered Truth; sharing it was an imperative. The spokes-musicians for what would eventually become an industry felt an urgency to share their faith. Worship music as a genre did not yet exist. Today it seems worship music has become the dominant Christian musical expression, stifling all other forms of musical creativity. 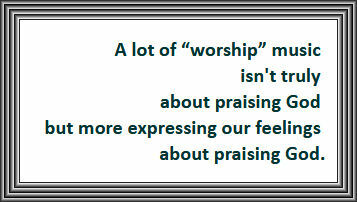 A lot of “worship” music isn’t truly about praising God but more expressing our feelings about praising God. Believe me, there is a big difference. We have become inner-directed to the point that we forget the reason for the church’s existence isn’t just to praise God, but to bring others into a relationship where they want to do the same. ‘Jesus Music’ inspired my generation. We went out into the highways and byways looking for people who hadn’t heard the good news that is Jesus Christ. Our songwriters led the way, framing our zeal for evangelism in music. We are supposed to praise God. But if that is all we do, if we lose that missionary vision, our praise in many ways become just resounding gongs and clanging cymbals. It was easier when the mission field was so far away. In my area of a large Canadian city, there are now more mosques than churches – the mission field has come to us. That makes it everyone’s responsibility, not just those who feel an overseas call. That also makes it harder — we have to show love to our neighbor, on a daily basis, and put that love into action. We no longer need to go to “Greenland’s icy mountains” to reach the lost. They have moved into your neighborhood, into my neighborhood. On the city bus I hear a myriad of tongues and see a variety of skins tones. Where though are the songs about the spiritual needs of those people on the bus? Who is inspiring the church to leave the comfort of its walls and take the gospel to the nations that have arrived on our doorstep. Who is writing the soundtrack for missionary activity in the 21st century? “We’ve a story to tell to the nations.” We’re just not singing it right now. To learn more about Lorne, follow his blog, Random Thoughts from Lorne. We occasionally steal articles from each other but this one was initially written for readers here. 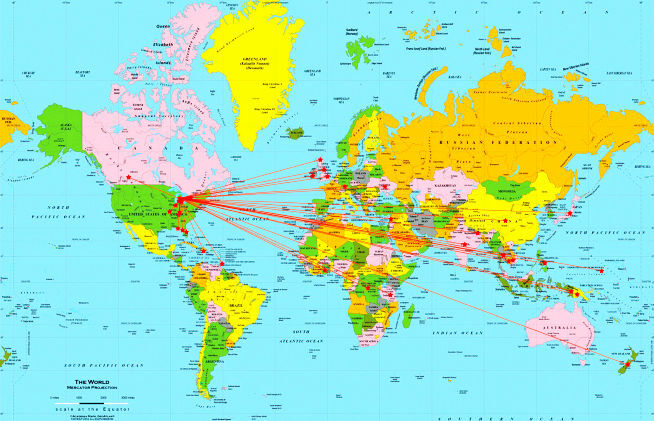 Wall maps like this one at Wolverine Baptist Church in Michigan adorned many a church bulletin board with push pins and string highlighting the church’s mission outreach around the world. We’ve written before about the shift to vertical worship means there are no longer songs of testimony. But also missing are songs of mission, as well as other categories. I realize that it is no longer politically correct to talk about evangelistic crusades and that songs like Onward Christian Soldiers sound different to 2018 ears than it did when the 1865 lyrics were combined with music in 1871. But I thought we’d collect some stanzas from these classics today perhaps for a last look before they disappear into obscurity. These are hymns, but you could include some 1980s fare like “Shine Jesus Shine” and “We Wanna See Jesus Lifted High” in this list. Looking to Jesus minding not the cost? Send the light! Send the light! Let it shine from shore to shore. Let it shine forever more. Tidings of Jesus, redemption and release. 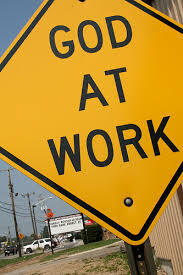 “Who will go and work for me today? Who will bring to Me the lost and dying? Who is on the Lord’s side? Who will serve the King? Who will be His helpers other lives to bring? Who will leave the world’s side? Who will face the foe? Who is on the Lord’s side? Who for Him will go? We are on the Lord’s side, Savior we are thine. So what’s the point of all this? Just a trip down memory lane for some older readers? No, the issue is that we don’t have anything today — with the exception of the Getty’s revival of Facing a Task Unfinished, which wasn’t entirely new lyrics — that is thematically equivalent. Our songs are all introspective. We don’t challenge each other. This was the music of the church, until recently. This is the content that Christians sang on Sunday morning. This was the power of music being used to inspire us to think beyond our church walls, beyond our city, beyond our state, beyond our country and to consider our response to the Great Commission. We ought to lament this loss.